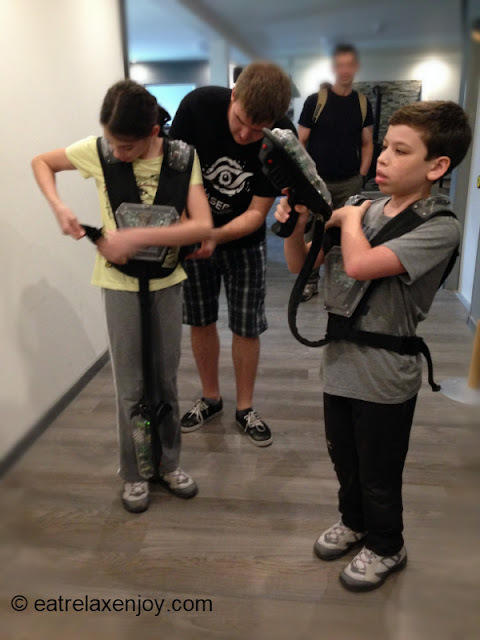 The laser games in Liptov Slovakia is a nice attaction suitable for a rainy afternoon or day, or after a tiring hiking. It is located in the industrial area near Tatralandia water park. The activity is not expensive but it is best to get there in groups, it is more fun and it is cheaper. 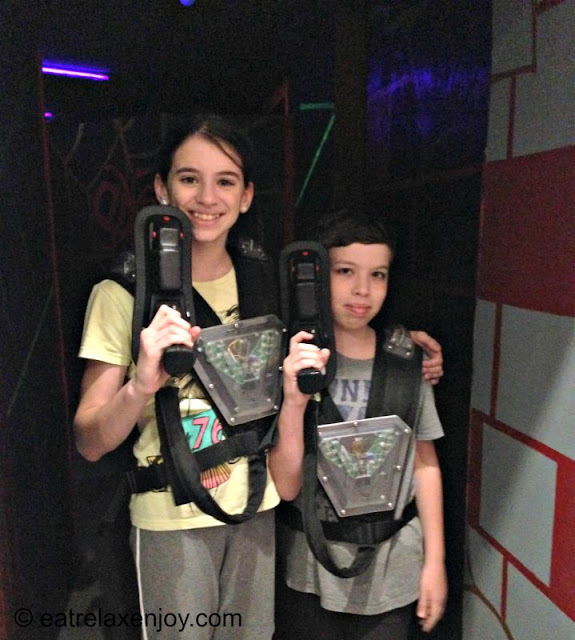 There are two laser attractions there: laser fights and laser maze. 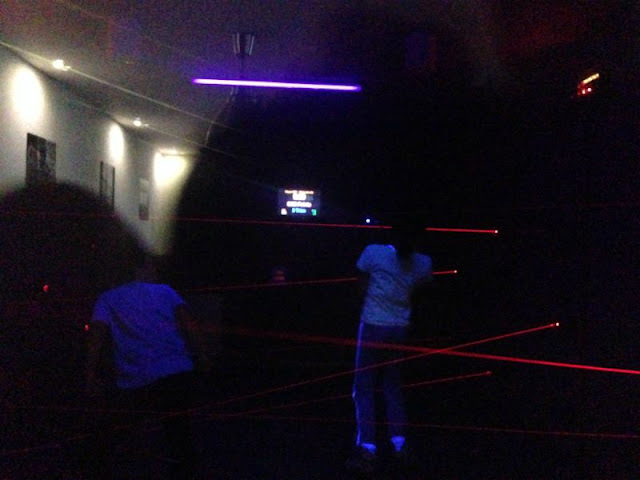 The laser fights take place in a dark labyrinth that is slightly lit with ultraviolet light, in which the participants, who are dressed with special gear, shoot each other. This can be an individual or group/team fights. Before entering the room the participatns wear a set with a shield and a gun. 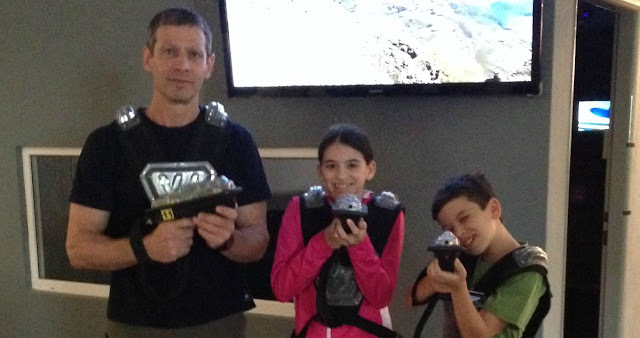 The shield receives the laser signals and can tell if you’ve been hit. 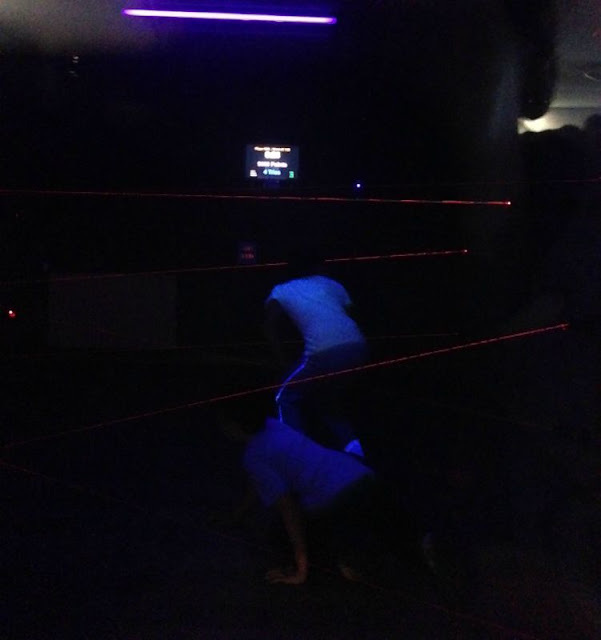 Then, they head off to the fight – enter the labyrinth (that is full of grafiti that shines in ultraviolet light). They shoot each other and the results are shown on a board in the waiting room. The labyrinth is behind the children in the following photo. It is best to get there in a big group, because the game is priced according to the nubmer of participants, and it is much more exciting when there are many participants. 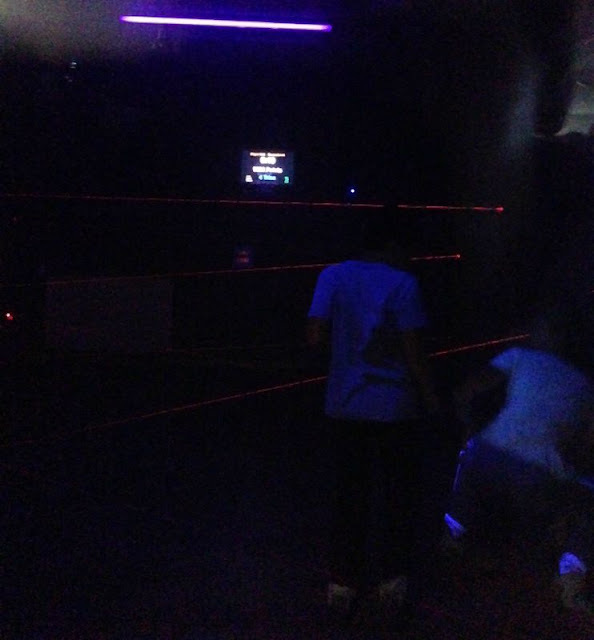 The second laser attraction is the laser maze. 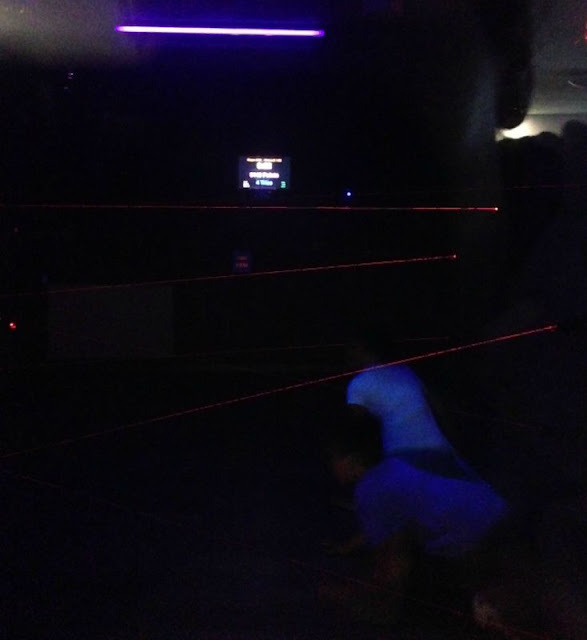 There’s a room with laser beams. The participants should cross the room without ‘breaking’ the beams – bend, jump, etc. This is how it look step after step when my children are doing it (we peeked via a one-sidded window). Here they approach it. The person that gets to the other side of the room first without ‘breaking’ the beams – wins! The laser games are located on the southern exit of Liptovsky Mikulash, right after Janosic Hotel (where we stayed, I’m going to write about it). Tip: take at the hotel (most hotels offer it) the Liptov Region Card, it grants discounts here and in other attractions.